The all-new 2019 Ford Ranger arrives to compete, boasting tons of power and cutting-edge tech to meet the needs of modern pickup drivers. From its stellar performance to its state-of-the-art safety features, the Ranger exceeds expectations at every turn. 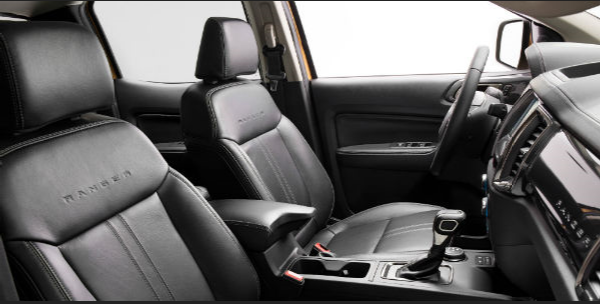 Stop by Jack Bowker Ford Lincoln in Ponca City, OK to test-drive the 2019 Ford Ranger for yourself. We guarantee you’ll fall in love with its impressive response, capability, and advanced safety technologies. The all-new Ford Ranger features an advanced 2.3-liter EcoBoost® engine and is only the second truck to have it. This stellar engine boasts a range of best-in-class titles, including best-in-class torque at 310 lb-ft and best-in-class combined gas mileage at 26 miles per gallon. * To achieve such efficiency, the engine employs advanced fuel-saving technologies like a direct-injection system and Auto Start-Stop Technology. Alongside its fierce 270 horsepower, the engine offers best-in-class gas payload and towing. It can carry 1,860 pounds and tow 7,500 pounds, making it the perfect companion on the worksite and when lugging the family trailer or boat. The engine comes paired with an equally advanced 10-speed SelectShift® automatic transmission, which uses Ford-Patented technology to smoothly channel the engine’s power and briskly shift gears. BLIS® (Blind Spot Information System) with Cross-Traffic Alert: This smart feature automatically monitors your blind spots and alerts you if there is a vehicle present. Lane-Keeping System: This system actively monitors the lane lines and alerts you if you start to stray from the middle of your lane, keeping you on course. Pre-Collision Assist with Automatic Emergency Braking: Scanning the road ahead of you, this technology alerts you of potential collisions and can automatically employ the brakes if needed. 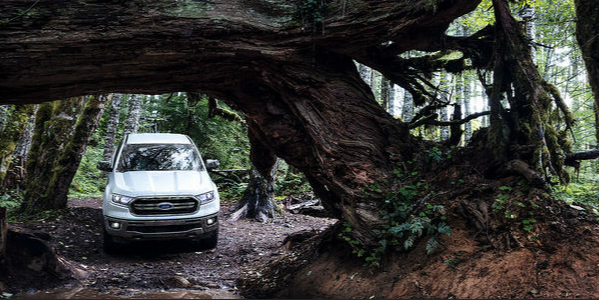 Auto High-Beam Headlamps and Rear-View Camera: To optimize visibility, the Ford Co-Pilot360™ suite includes automatic high-beam headlamps and a convenient rear-view camera.